Brewsters Pub is connected to Laurel Lanes and offers even more fun and excitement. Experience different specials every night of the week in an atmosphere you won't want to leave. 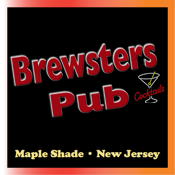 Whether watching the Eagles and the Phillies with us or listening to a live band play, Brewsters is the place to be!